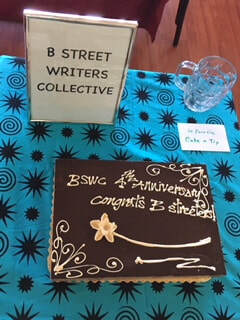 Leticia Garcia Bradford founded B Street Writers Collective (BSWC) in 2014. 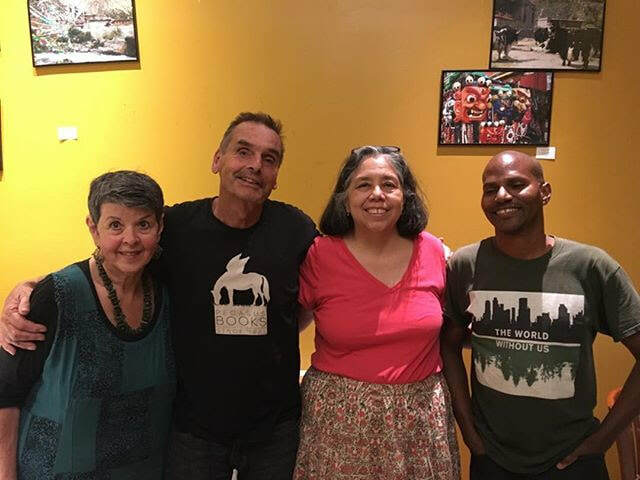 BSWC is a collective of writers who share their love of writing and connecting for the benefit of all with support, inspiration, readings, publishing and community outreach. BSWC meets the first Saturday of the month on and around B Street in Hayward, California. Known as the B Streeters, the collective has performed around the San Francisco East Bay. BSWC published it’s first anthology, Fly With Me, in August 2016. BSWC's second anthology What Is Love was published in Spring 2018. Email bstreetwriterscollective@yahoo.com for more information. The goal of the project is to find a mural or utility box to inspire your writing. Think creatively. Any format, poem, short story, non-fiction, song, memoir will do. Check out the city web-site: Mural Program | City of Hayward - Official website or https://www.hayward-ca.gov/sites/default/files/basic-pages/MuralFlyer_2014.pdf for more on the murals. You don't have to live in the Hayward Area to participate in the project. Just peruse the pictures on the websites to inspire your writing. If you live locally, take a picture to show the group. More than one writer may pick the same mural. Murals from around the East Bay are welcomed. Let the muse guide your writing. Multiple submissions accepted. Send submissions in 12pt font in an attachment to bstreetwriterscollective@yahoo.com with Mural in the subject line.